This is by far the warmest and most rugged fleece jacket I have ever seen or owned. Granted, you are paying $50-70 extra for that small little "The North Face Logo" on the jacket, but in many ways...you DO get what you pay far. My wife laughed at me for two years saying that she bet her $15 Chinese slave-made Wal-Mart fleece jacket was just as warm as my Denali. After many washings, the Denali continues right on and keeps me warm. Her Wal-Mart fleece jacket became stretched out and started falling apart. She finally was convinced that this is truely the best fleece jacket you can buy and is very warm. If she goes camping with me, she will ask me if she can wear my Denali. I paid $99 for mine. 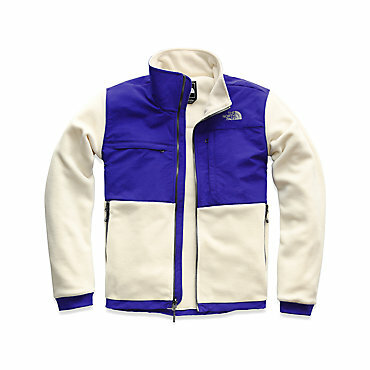 If you watch closely, The North Face allows dealers to mark them down to $99 to clear inventory out. If you cannot wait, then the $165 is the fixed price you will pay everywhere. I still think $165 is a ridiculous price and in many ways, wearing one is a looked on as a "status symbol" in the civilized urban world... but I must say that this jacket used in the backcountry has kept me warmer than any soft shell jacket I have ever owned. Because of its high price, I am very protective of it. Campmor has some Polartec 200 fleece jackets (made for them carrying their name brand) that are very warm, but again, they will not hold up as well as the DenaIi. I highly recommend this product if you can afford it! (LONG review) I am hard on all of my gear and these are pretty durable all things considered. I have had two now, over the last five years, pretty rugged for what is a light jacket. I had the first generation with the copper cuff snaps and I feel the fleece has been improved in the newer model (Polartec). The cuff snaps were more durable in the first generation models (no plastic). Both generations are very fragile with heat!! Please take this into consideration! They can easily be burned through by a cigarette. If you are thinking "Well, I don't smoke...blah blah" ... it is still something you should note. I had mine (1st one) burned in a bar, when a girl bumped into me. I had to extinguish it or it would have kept burning! Don't go to bars either huh? Well, if you ever sit around a campfire, the embers from stirring the fire can still get you. Personally I hate to hinder my actions because my gear can't keep up. Don't get me wrong, my Denali(s) have survived many-o-campfires and haven't burst into flames. But I do consider the jacket when I see hot embers flying, because I think my jacket is a magnet to burns. My first one was burnt within the first week and the second one also got its first burn shortly after getting it. This is an issue with any fleece, so it's not to be considered a fault unique to the Denali. The pockets are great, my wife got one and the women's model is short one pocket; she was sad. The shoulder and elbow protection material is more durable than I expected, and has held up well. Another review stated they didn't like that part of this jacket. I think it is one of the best parts of the jacket for all the reasons they didn't like it. Water doesn't tend to get through the fabric quickly like the absorbing of the fleece. Simply wipe it off to keep it from accumulating. The rain actually 'stands' for a little while on the fabric before it is soaked through. Once it is wet it is wet, and will take longer to dry since it is not as breathable as the fleece. Scotch Guard can help with this. I have crawled through brush on my elbows and without the protection, the elbows would have disintegrated. The arm-pit zippers are great, and can take the heat down quickly when indoors. This is a great jacket to wear under a shell also. The hip cinches (when remembered) will help keep heat in when worn with a shell. 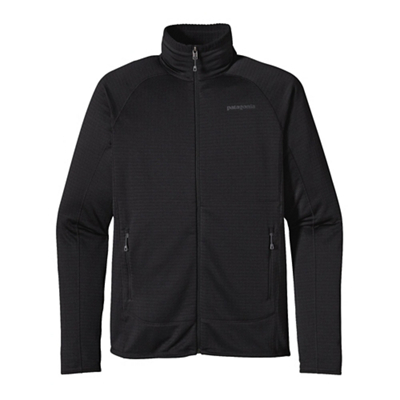 Wind cut right through the first generation fleece, but the newer Polartec is decent. This jacket will not be your best friend in a windstorm by any means. The cuff snaps are hard to operate if you use them with an outer shell. The cuffs came unstitched on my first jacket, but the other jacket seems to be holding up well. I think I have had the second one for about a year now. I didn't need the second one as my first one was still fine in my opinion, but the wife seemed to think it was starting to show its age and bought me the second one as a gift. My brother's wife loved all the pockets and now has my first Denali and is wearing it well. I hope this helps if you are considering buying one. I would and may buy another Denali. But after having two? When my current Denali gets too tattered for my wife to be seen in public with me, I think I'll go for a Mountain Hardware fleece and try my luck with that. Good jacket, but could be better. I bought a TNF Denali fleece jacket back in 1999 when TNF was still making gear for technical use, not a fashion trends like today. While it was a good jacket (still have it and wear it frequently), it could have been better. It has all the usual things a good fleece should have: pit zips, chest pockets, nylon panels on shoulders and elbows... but the fleece weight is a bit light. I got a few surplus US Army-issue 300 weight PolarTec fleece jackets each for less than $20 and they are way warmer and thicker than the Denali, and have better coverage on the wear panels. Strictly for mountain usage, this jacket is too heavy and bulky. The ratio warm-per-weight is not the best. Still can be useful for car trips and probably other outdoor activities. One final remark: this jacket is not designed to be windproof, not even wind resistant. It's just a heavyweight thermal jacket. It's pretty good. It has inside liner which keeps me warm and outer parka protects me from wind and rain. It did awesome job in withstanding New Zealand's chill weather. A warm comfortable fleece with nylon over shoulders so pack straps won't dig in. Keep extremely warm, lots of pockets! I like all the big pockets. 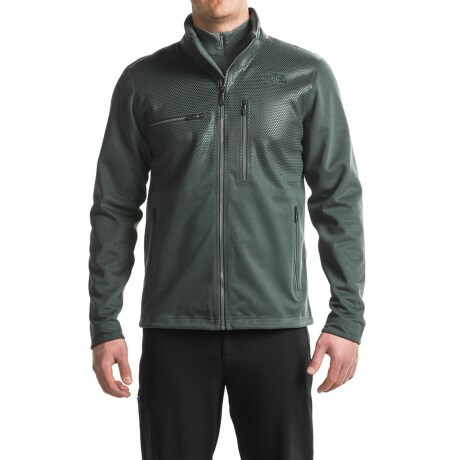 Jacket breathes very well and is perfect for mild conditions or as a layer for extreme conditions. 6'1" 185 order Lrg. Now an old standby, the Denali Jacket by TNF remains the yardstick by which fleece jackets are measured. It has evolved slightly from its early days, and not entirely for the better, but it remains a top-notch outdoor utility fleece jacket. My only complaint is its success. After it reached icon status, it became almost as much a fashion accessory amongst the polished-chrome-wheels-on-the-Tahoe crowd as anything else. My only other suggestion to TNF would be to revisit the sizing, as I think it tends to run a bit too large for the labeled size. I've got two of these, and should I in the future need something similar, it's what I'd look for first again. The Denali is the warmest, most durable fleece I have owned. While a technical jacket, it is casual enough to wear in town. The multi- position pit zips allow variable venting on the jacket. My only issue was the inside seams at the torso chafed my sides below the ribs. Aside from this minor issue, I would recommend this jacket to anyone who loves the outdoors. Yes, it is expensive but it is far superior to any other fleece. Nylon reinforcements on sleeves and shoulders insure long life against abrasion. 300 weight fleece keeps me warm to 30 degrees or so depending on wind chill. I also have a Mountain Hardwear Monkey Man fleece, and an considering having sleeve reinforcements added to this garment due to excessive matting of the material at the elbows. I have two Denali Jackets which have served in a superior way for three years. 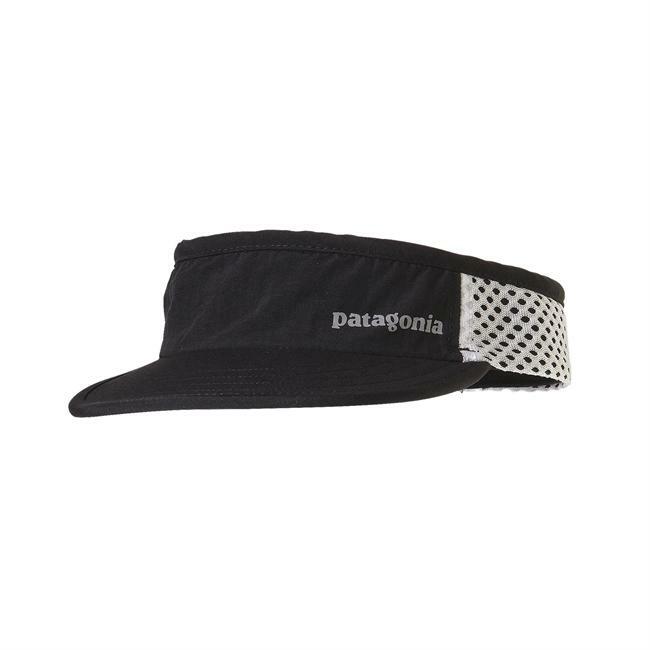 Except for possibly a gale force rain event, waterproof and wind resistant. The best fleece you can buy and worth the price. This is a great jacket. I'm not much for North Face but it gets the job done with ease. This is one of the most durable long lasting jackets I own. It is lightweight and warm and can be worn in many climates. It has everything I would look for in a jacket I would wear everyday and a jacket I would take hiking/camping with me. A great fleece jacket. For warmth this is the best fleece I have ever worn. Great quality. The one issue I have is with wind. The jacket is so warm, I often wear it with a short sleeve shirt on underneath. It keeps me warm, however if the wind picks up to above 10mph, you will catch brief drafts that come through the fleece. Again, normally you would have on at least a long sleeve pullover underneath and in that case, there are no issues. But high winds are an issue for the fleece. I would buy again. Lucky to find this jacket at a North Face outlet. Lucky to find this jacket at a North Face outlet. Have owned it for about four years. Wear it daily in the winter either on its own or zipped into a North Face summit series XCR shell. The Denali is warm and has shown no signs of wear in the past four years. Minimal pilling. Plenty of pockets. Underarm vents are a great feature when you have to crank up the aerobic output for whatever reason. I love the Denali. I bought it almost a year ago on Ebay, new with tags, and have loved it ever since!! The classic 300 fleece keeps me very warm even in the below 0 temperatures during the Wyoming winters. I also own the North Face Apex Bionic Jacket and it's a dilemma every day of which jacket to wear!! I bought this jacket on sale from the wonderful people at Moosejaw. The jacket is very light and performs as advertised. I would not go on another winter trip without it. This is a decent piece. I cannot complain about price because mine was given to me for free, but after two years of use I am not sure that I would tell someone that it is worth the $165 price tag. The one shining characteristic of this piece is the durability. I have worn this fleece day in and day out for two years and its wear and tear is minimal. I must give The North Face credit for quality construction. In terms of functionality, it is very warm when there is little or no wind, but the Windstopper technology is not the best on the market. It works well, but not $165 well. I have a Mountain Hardware shell, and I wish that I had the money to buy their Windstopper fleece. Several of my friends have it, and they say that it is not even comparable to the Denali in terms of functionality. In conclusion, the Denali is a great lightweight fleece for not so harsh weather, but for cool spring and fall activities it works great. I can't tell you how many different fleece coats I've had from different manufactures. 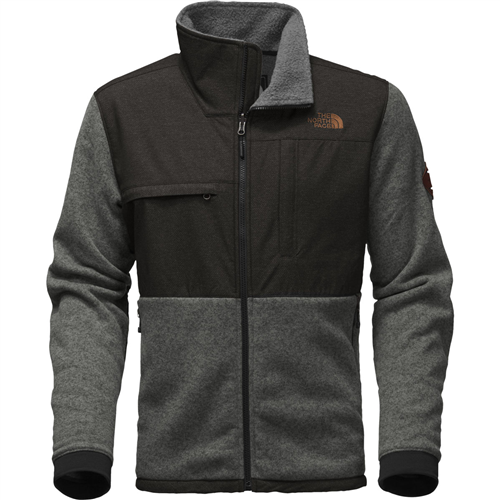 I recently bought my first North Face Denali Jacket online at www.4beartooth.com for $129. This fleece is out of this world. I'm an avid backpacker/outdoor sporting enthusiast and really push my gear to its limits. The Denali took everything I threw at it. Very durable to the point of almost being indestructable. No problems with anything so far. I have used it alone in subzero temps and it still kept me warm. You are not wasting any money if you buy this jacket. This is the best fleece jackets I've ever had. The first time I tried it on, it felt very comfortable and warm almost like I have worn it before. The multiple pockets are very useful and I use practically every one of them, I also like the pit-zips, as they increase the breathability of an already very breathable jacket. The condura pads are great for the heavy loads I carry and doesn't feel restrictive in any ways. Overall a very, very good fleece jacket. A great jacket -- I recently had my first one stolen and got another right away. 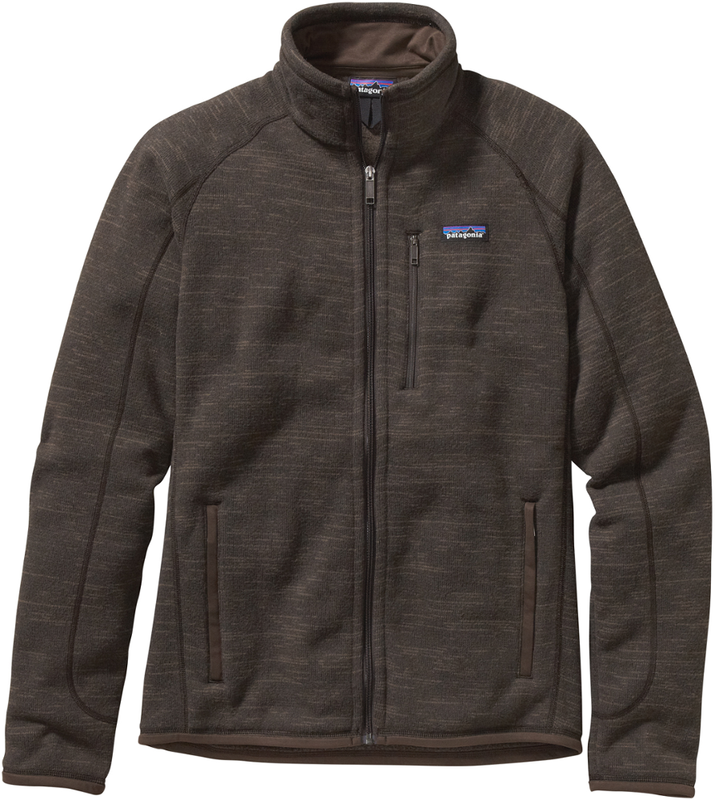 I have several other fleece garments (Patagonia, L.L. Bean) and this is head and shoulders above the rest. I love all the pockets! I live in this fleece, love the underarm zips for ventilation and the big, tight collar, but I don't like the windproofing on the shoulders, neck and forearms. These get wet when I sweat and take ages to dry again. This defeats the object of a fleece for me. For less sweaty people or less active pusuits it's probably great, otherwise think about the other fleeces that are just that. This fleece is worth every cent. Light weighted, warm, and even have zippers at the arm pit for ventalation. Over all this fleece is extraordinary. North Face did a great job! Still, $160 is alot. Timberland fleece same style sells for $50. 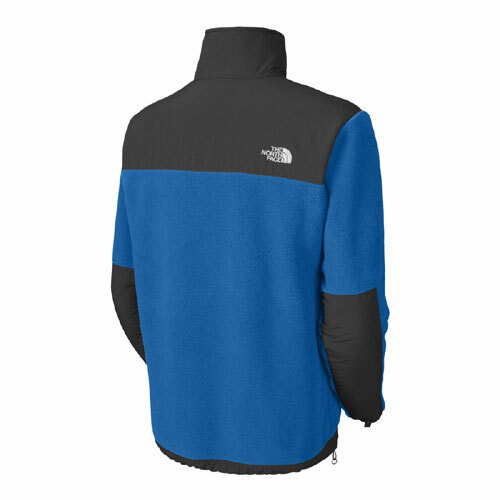 The North Face Men's Denali Jacket is not available from the stores we monitor. It was last seen September 22, 2018	at SunnySports.